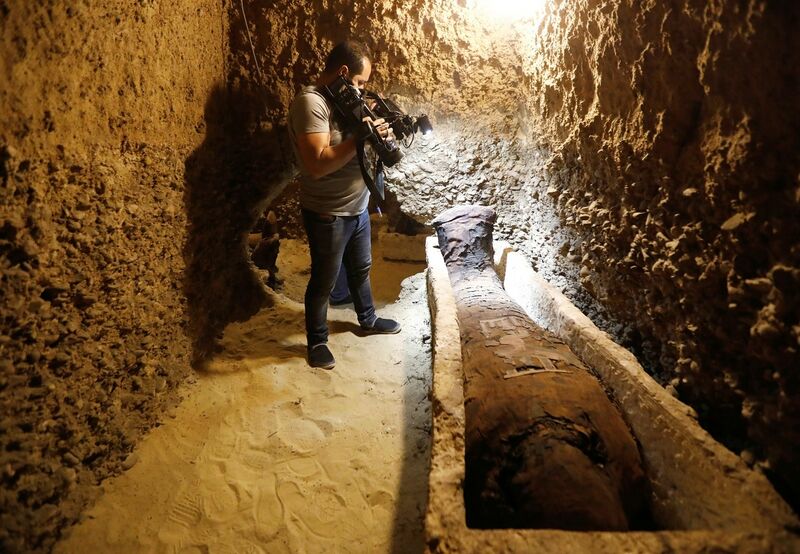 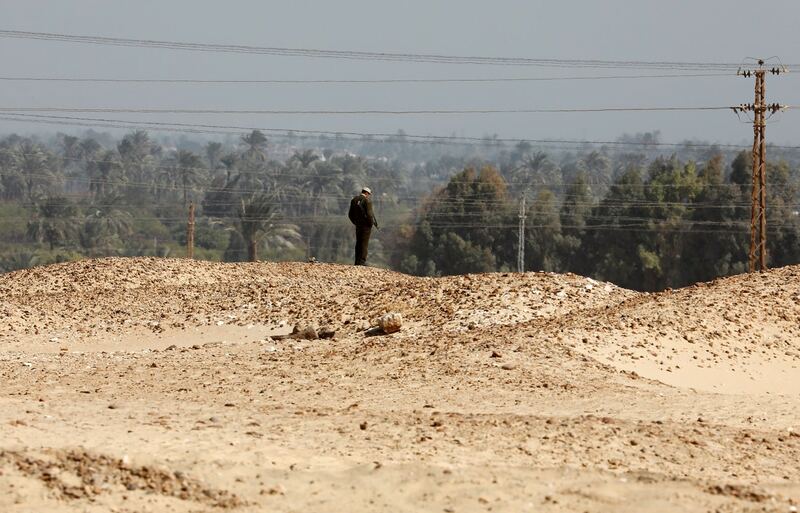 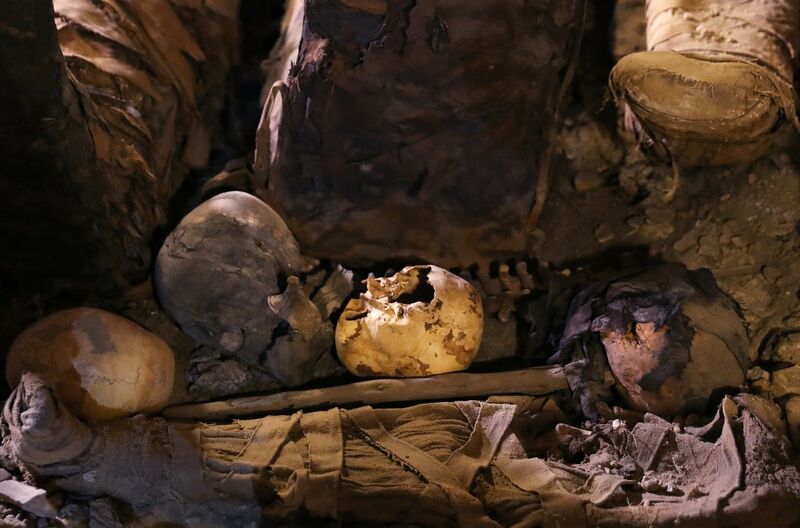 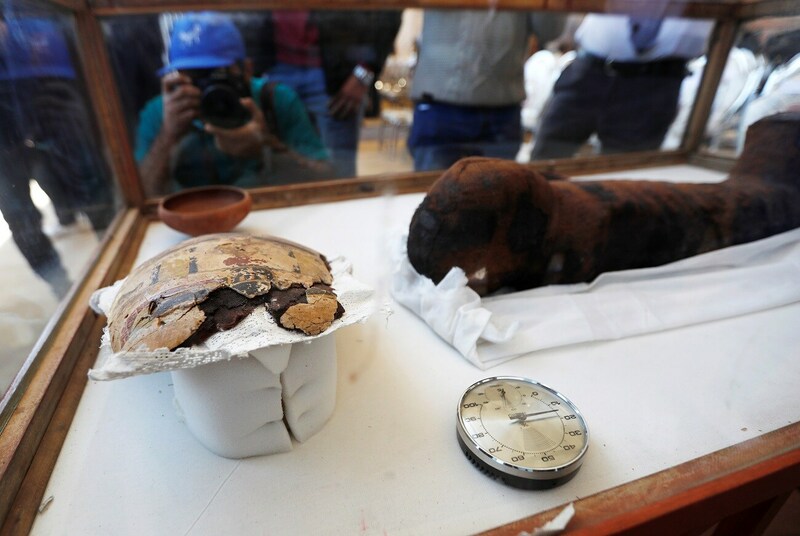 Egyptian archaeologists uncovered a tomb containing 50 mummies dating back to the Ptolemaic era, in Minya, south of Cairo, the ministry of antiquities said on Saturday. 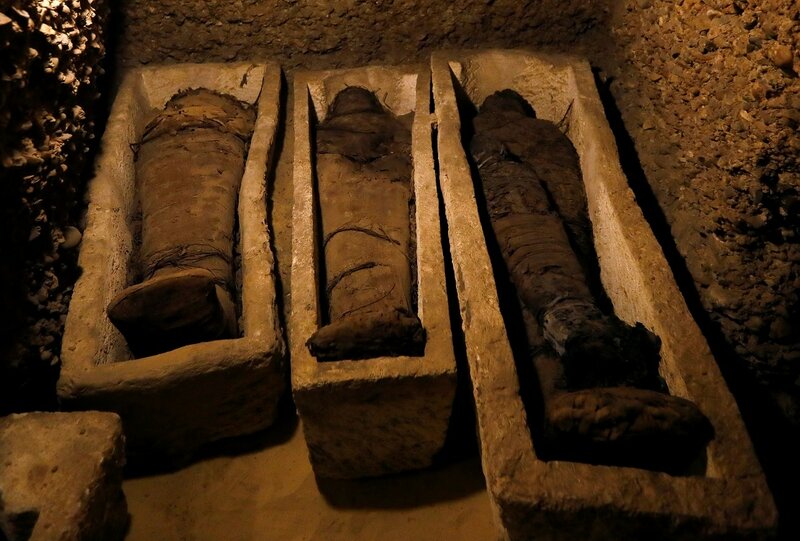 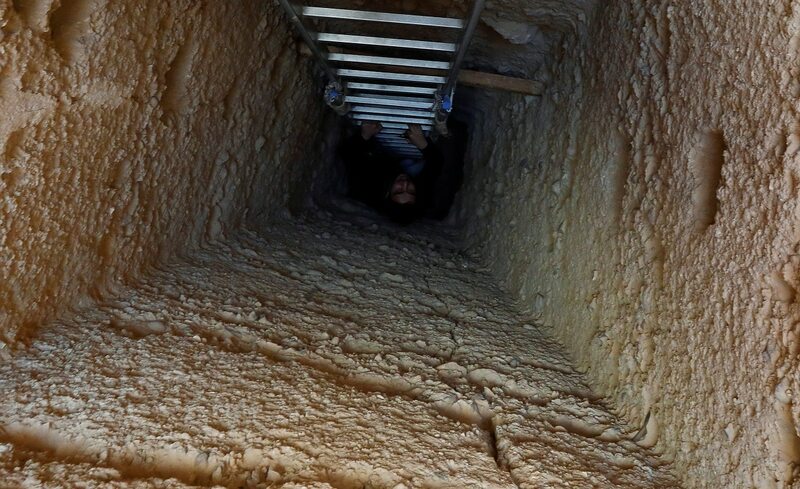 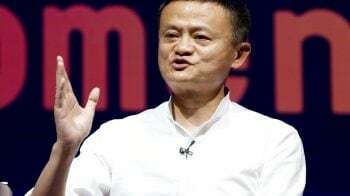 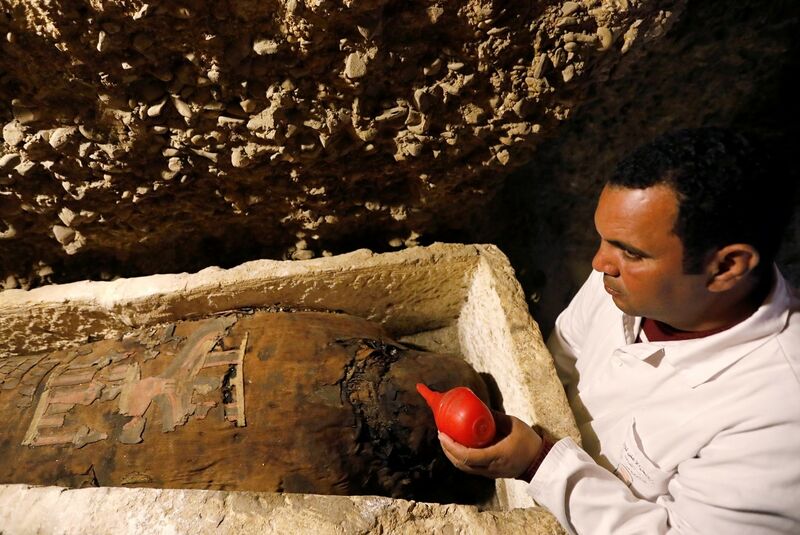 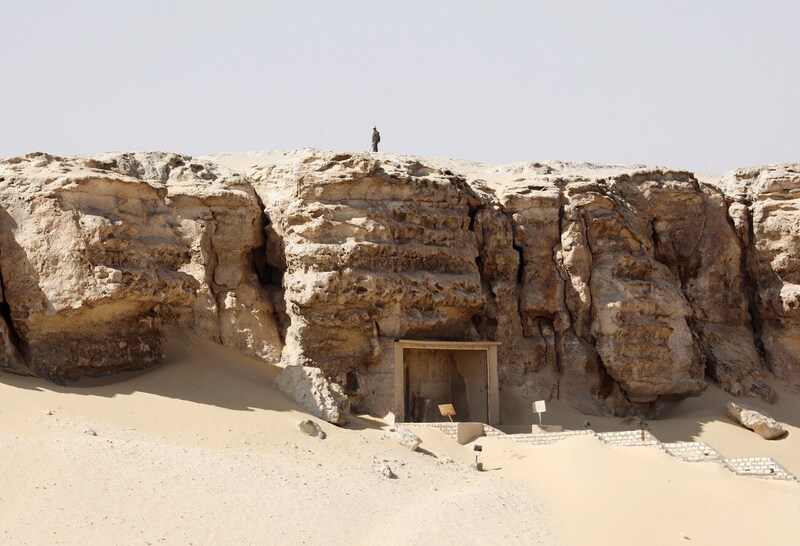 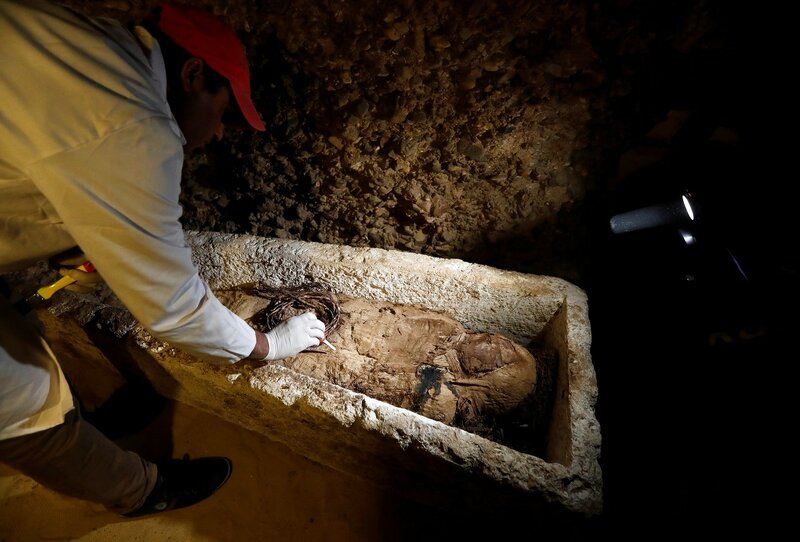 The mummies, 12 of which were of children, were discovered inside four, nine-meter deep burial chambers in the Tuna El-Gebel archaeological site. 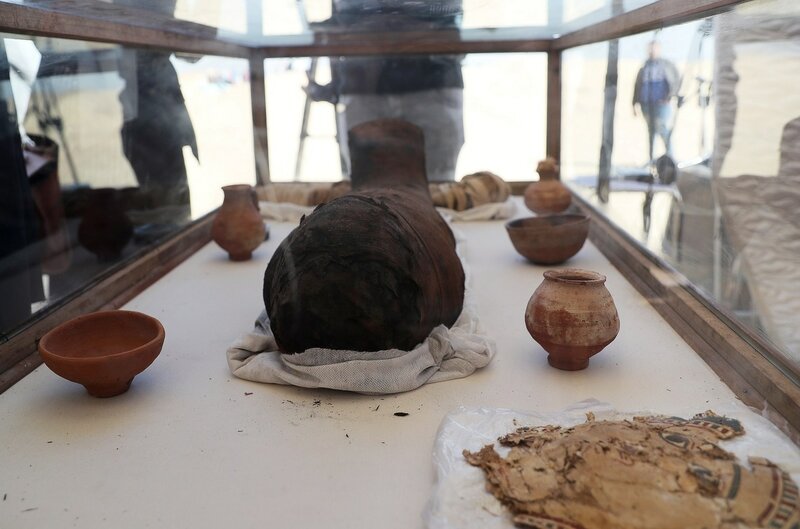 The identities of the mummies were still unknown, said Mostafa Waziri, secretary-general of the Supreme Council of Antiquities.